MT. MISERY – “Camp truly changed my life” is a thought echoed by many who attend Next Generation Ministries’ summer camp at the Pinelands Center in New Jersey. 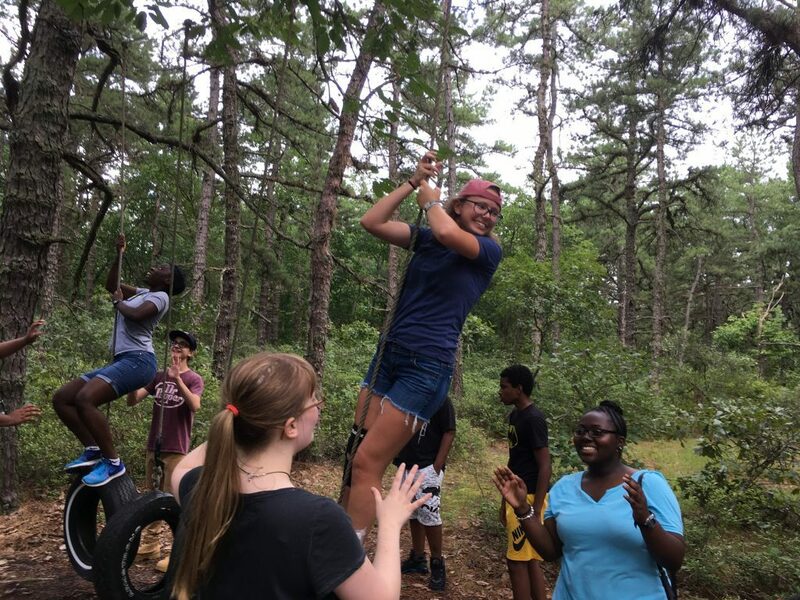 The newly rejuvenated camp kicked off this summer for middle and high school students, offering a variety of creative outdoor activities, with spiritual growth and leadership development at the heart of each program. Campers chose specialty activities from football to dance, swimming to art and made enduring friends in daily competitions like dodge ball, messy games, adventure relays and more. The Next Gen camp experience has allowed campers to dive deeper in relationship with God and others through worship, Bible study and discipleship under the guidance of mentoring counselors. Paul Orellana, 15, of St. Paul Centenary UMC in Newark, said that camp is way of connecting with his peers and making lifelong friendships. Rodriguez said she noticed changes in others that have gone to camp for the first time and believes that it has taught her new things; motivating her to face the years ahead. GNJ’s Next Gen Ministries is cultivating and mobilizing new generations of enthusiastic disciples of Jesus Christ that connect, engage and lead in their congregations and communities to transform the world. Rodriguez and Orellana are just two examples that have come forward to share their testimonies.